Last week, I went over some Techniques for Form Validation, including using CSS for visual feedback as well as the Constraint Validation API. 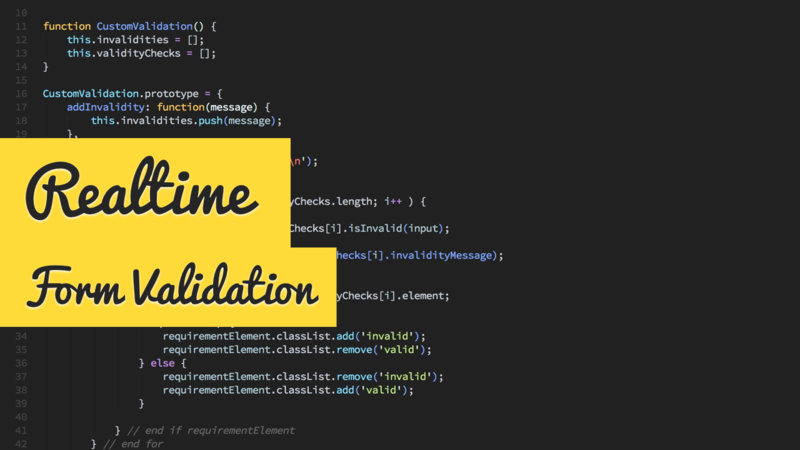 I also discussed the benefits of validating inputs in realtime, and so this week I built out this simple registration form, demonstrating realtime validation. If you'd like to see a walkthrough of how I built this out, you can watch the video below. If you have more ideas, or feedback on the implementation, do leave a comment below.